The Rock Creek Honor Guard, supervised by special education teacher Morgan Milham, is making care packages for United States service members deployed overseas. The packages consist of anything from ramen noodles, powdered drinks mixes and canned food to paper and pens. “The Rock Creek Honor Guard makes the packages for service members that have a connection to Rock Creek,” Milham said, meaning that packages may be sent to a family member of a student, the child of a staff member or even a former student. With the help of eighth grader Braden Troyer and seventh graders Jacob Dillon, William Kuhfal and Jacob Milham, this is the third year that the packages will be made and sent overseas. This year, the Honor Guard is hoping to complete at least two packages for service members. Although the packages have not been sent this year, the Honor Guard students hope to send them soon. 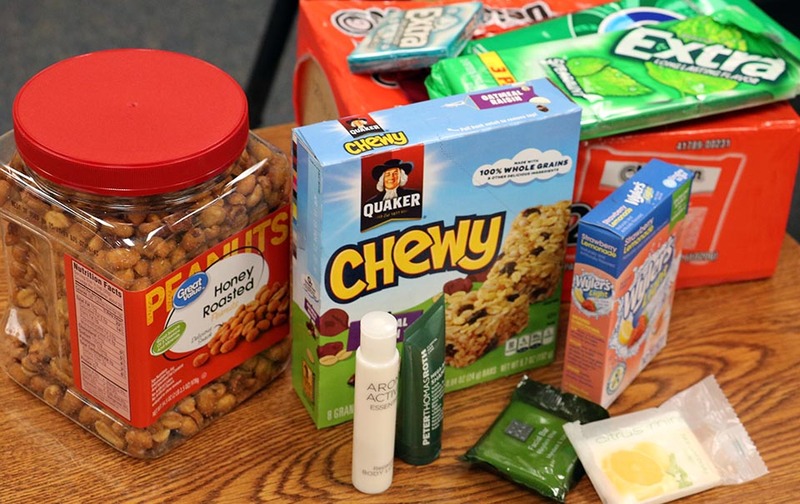 The students have planned a shopping trip to find items to put into the care packages. The students also made posters and sent emails to make others aware of the care packages and how they could help. Advisors can donate items or collect items to put in the packages. “I think that the soldiers will appreciate being recognized,” Troyer said. © 2019 Rock Creek Journalism. All Rights Reserved.